An 8th grade student presents her class’s wishes for the teachers. A 6th grade students shares wishes for the teachers. Some 8th graders present a poem for the teachers. 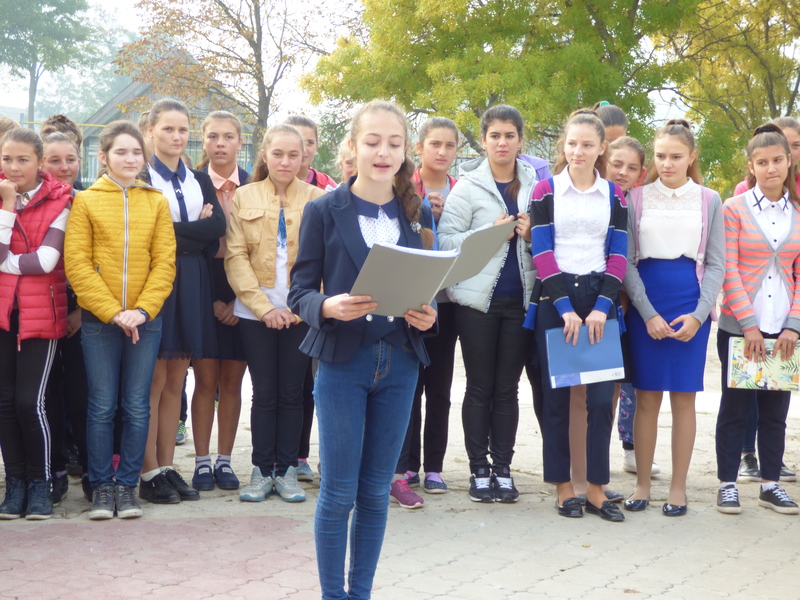 October 5 is International Teacher’s Day, and here in Moldova it’s a very big holiday (read about last year’s celebration here). At our school, we started the day off with a short assembly outside in the school’s courtyard. One student from each class presented their wishes for the teachers and thanked them for the work they do. 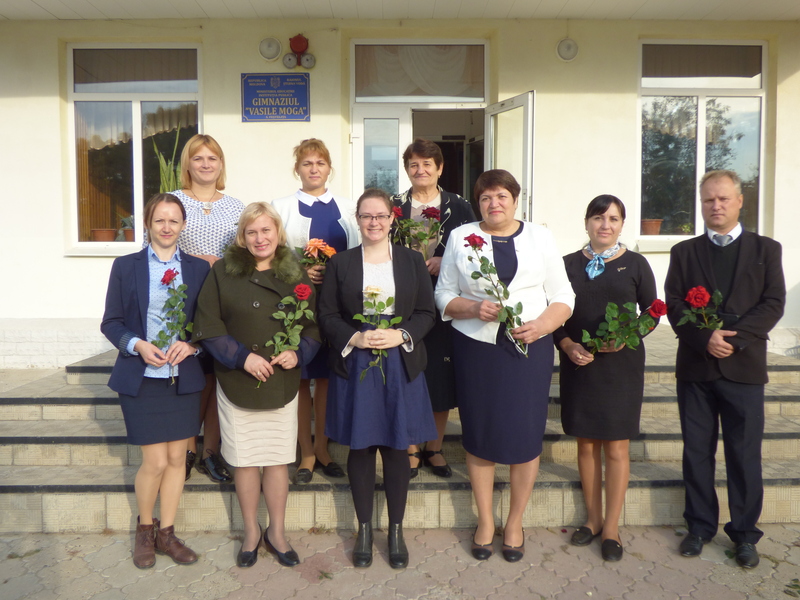 Some teachers at the school. Some teachers at the school (I’m in the front in the center). 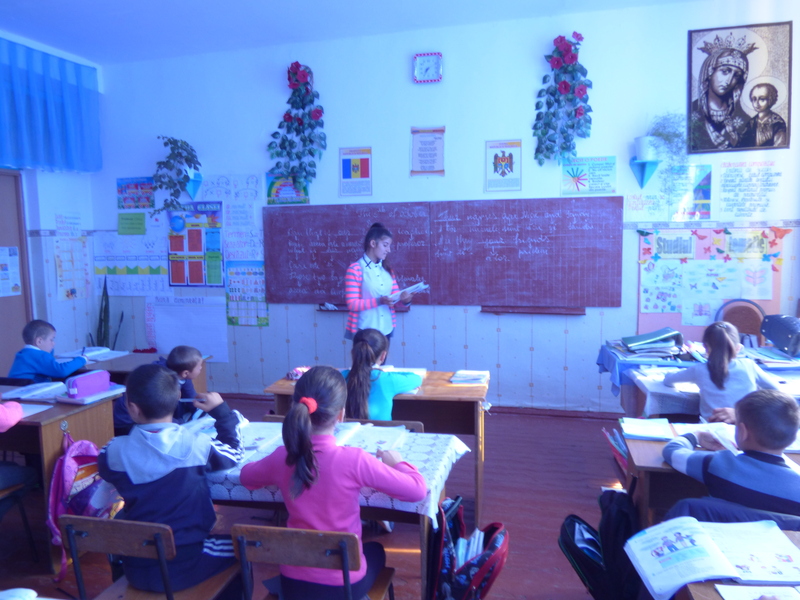 On Thursdays, my partner Liuba and I teach our younger students in 2nd through 3rd grade. 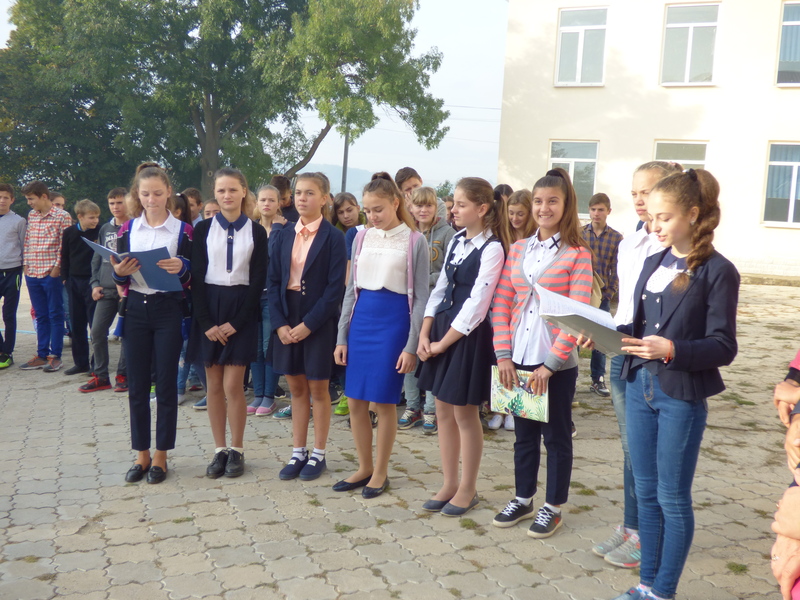 One of the Moldovan traditions for Teacher’s Day is for older students to teach some of the lessons throughout the day instead of the teachers. A 9th grade student teachers one of our 3rd grade classes. An 8th grade student teaches the other 3rd grade class. For our two 3rd grade classes, two girls, one in 8th grade and one in 9th grade, taught our lessons. We sat in the back and helped a little as needed. The 3rd graders were very excited to have older students teach the class and the two “teachers” did a good job. 8th grade students perform in a concert for the teachers. 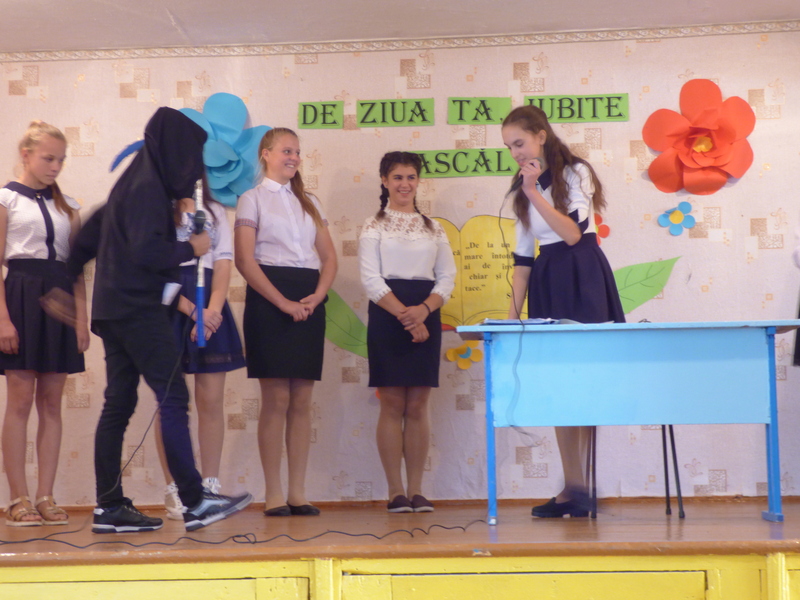 Students perform a humorous skit. 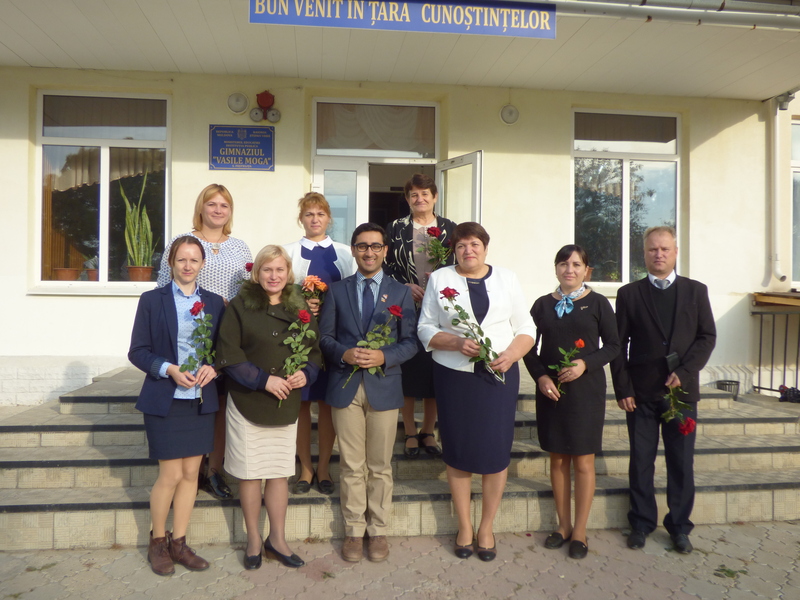 During our classes, some of the students gave us flowers and other prepared small speeches to thank us. According to one of my 4th grade boys, I am very pretty and they like to have lessons with me very much because I never yell at them. 8th grade girls sing for the teacgers. 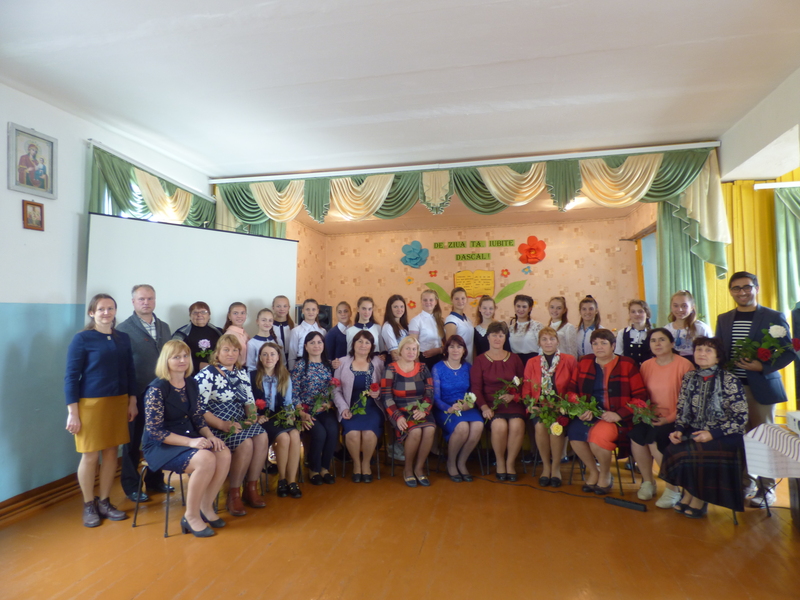 All of the teachers, with the 8th grade students. 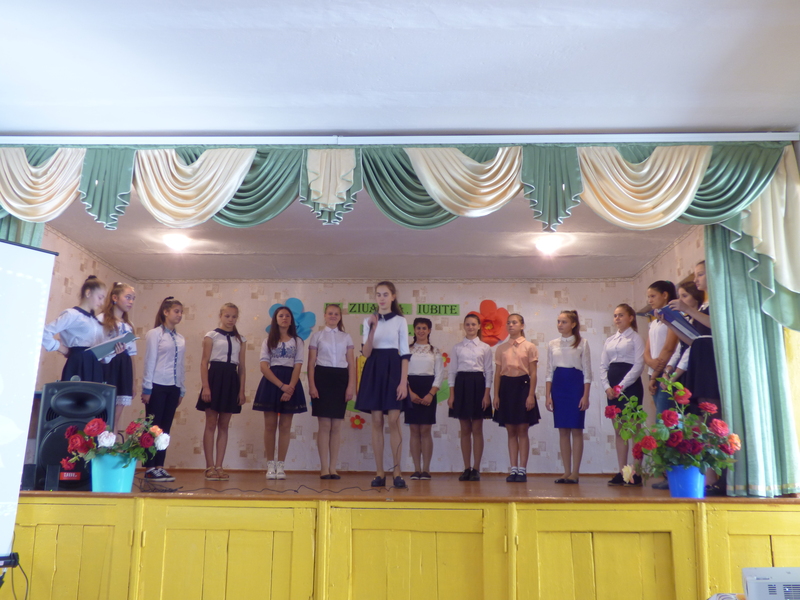 After lessons, some of the teachers went to our raion center for a big concert and ceremony, but I didn’t join them. 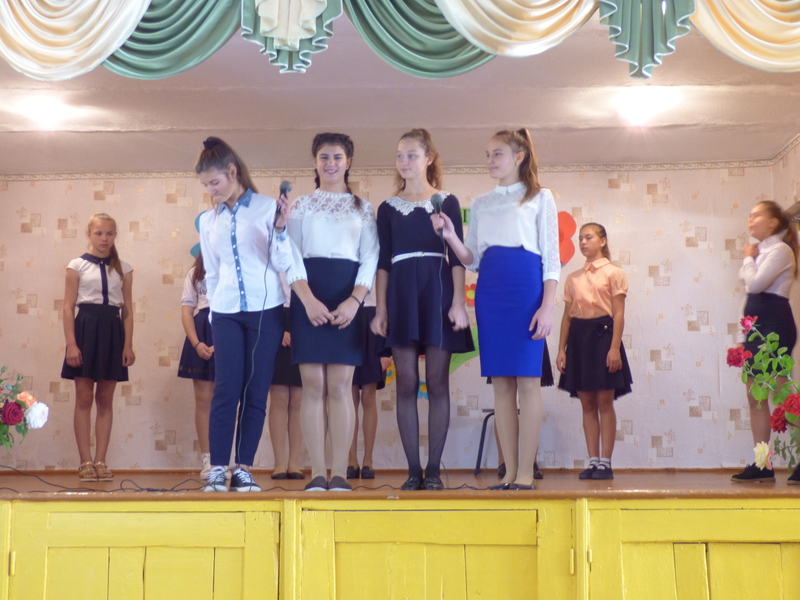 On Friday, the 8th graders prepared a concert for us, with poems, songs, and even a skit. Then, that evening, all of the teachers went to a larger nearby town to have a really nice party at a restaurant. We ate, drank, and danced for several hours. 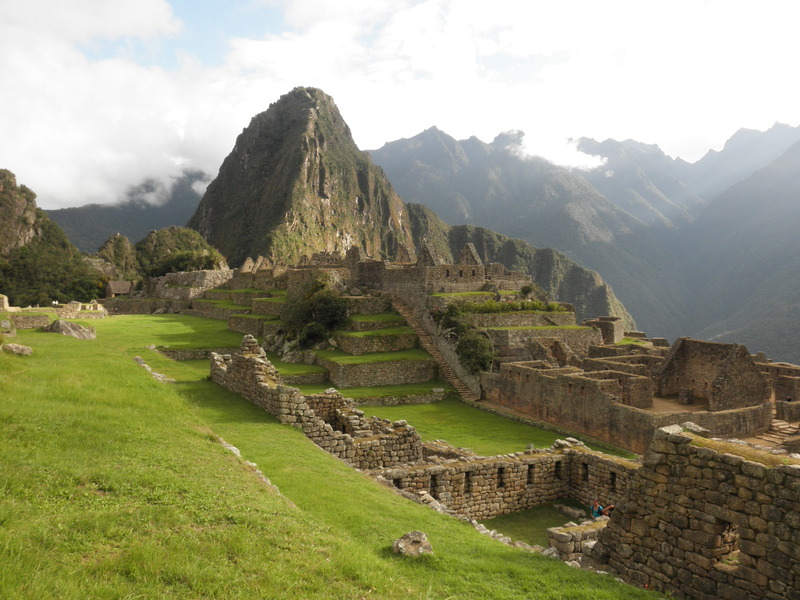 It was a really nice celebration and everyone seemed to have a very nice time.